This new template comes with two color schemes already installed: the default light theme, and one that is dark. 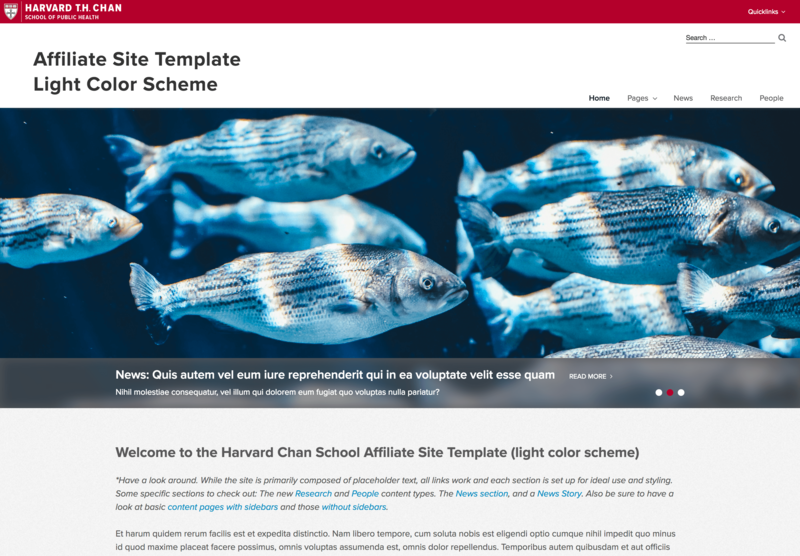 Beyond that, with the help of IT and the Office of External Relations (OER), your site can be customized to complement any color scheme or brand. 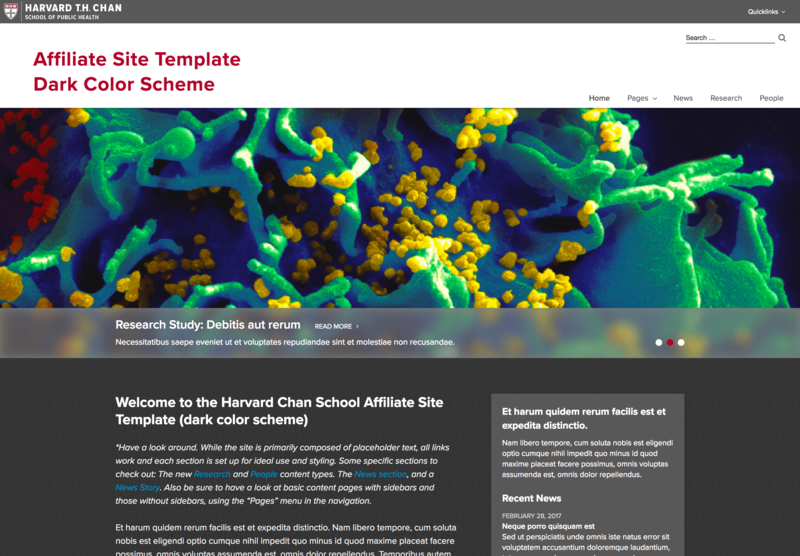 This base color scheme features the Harvard Chan School’s primary visual language. This scheme is ideal for professor labs and projects closely aligned with the school’s primary work and priorities, all wrapped in a simplistically designed messaging vehicle. These are examples of real-life implementations of the new Affiliate template. Some have opted to use one of the standard color schemes, light or dark, while others have enlisted the help of IT and the OER to tailor the theme’s styles to their unique identities. 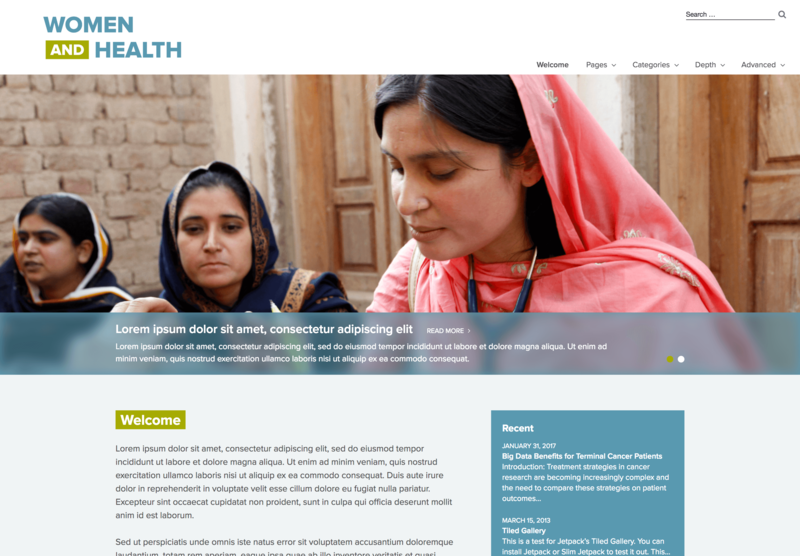 A collaboration between The Harvard Chan School, The University of Pennsylvania School of Nursing, and The Lancet, the site for the Women And Health Commission is tailor-made to align with this organization’s unique visual identity. 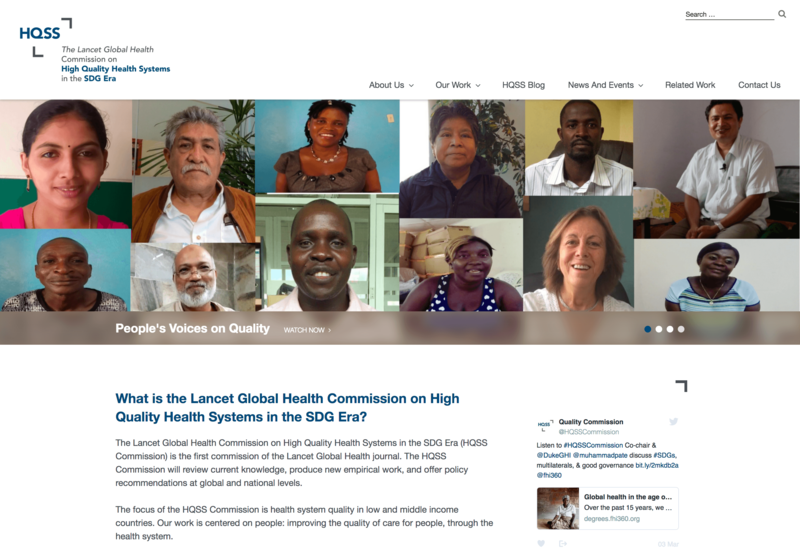 Similar to Women and Health, the Lancet Global Health Commission on High Quality Health Systems in the SDG Era (HQSS Commission) is a collaboration with Harvard Chan School’s Dr. Margaret Kruk and The Lancet Global Health. This site is custom designed to align with the commissions brand.